Colt Model 1911 of U.S. Army barrel converted to a sub-caliber .22 LR barrel by R.F. Sedgley Inc., Philadelphia, PA.
Barrel retains a vertical non-serifed "H" on the rear of the hood. 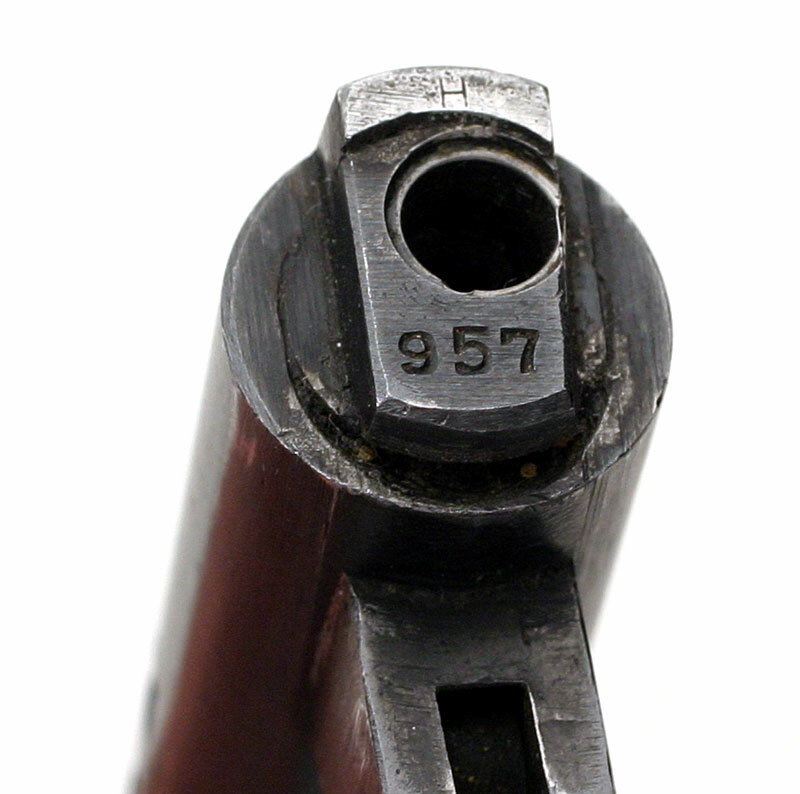 Serial number 957 is on the rear of the sleeve and a "P" is stamped on the right rear of the lug. 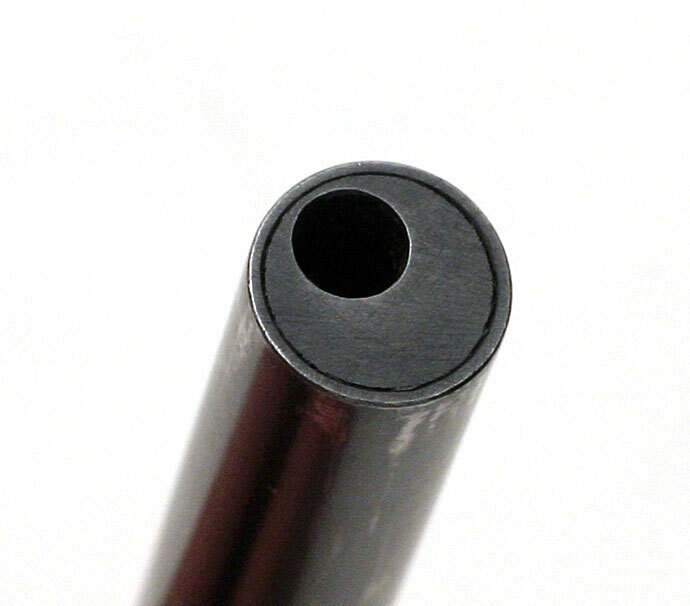 Sleeve is strategically located in order for the 1911 center fire firing pin to function with the .22 LR rim fire cartridge and so that the extractor will also remove the spent .22 cartridge case. 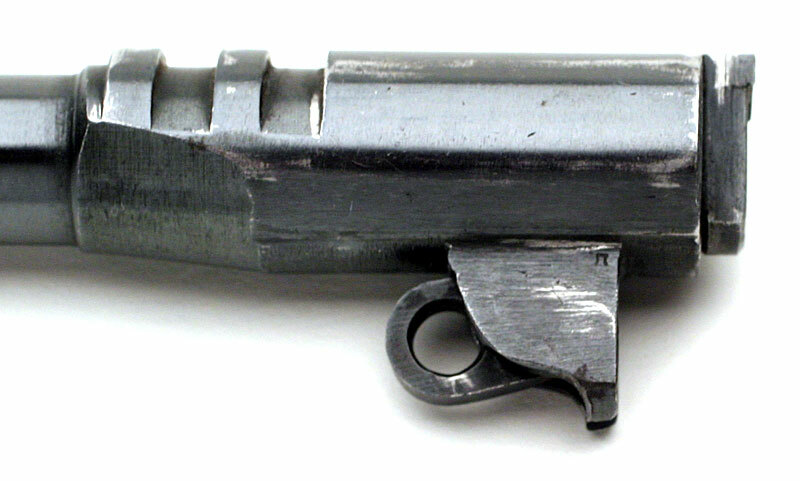 Horizontal partial number "5" is present on upper right flat of left side of barrel lug. Muzzle of sleeved barrel - note how bore is off-center. Converted barrel has a blued finish.